The UK State Report comments: “Disabled people in the UK have the right to education on an equal basis as non-disabled people.” (para 230). There is also the claim that: “Discrimination against disabled people in education is prohibited in Great Britain by the Equality Act 2010.”(para 232). 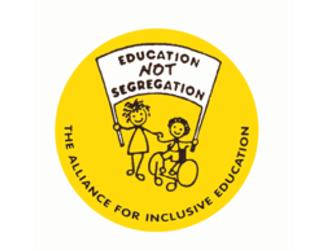 Since ratification there is no evidence to demonstrate progress in the development of a truly inclusive education system in the UK. In fact as the evidence shows it is quite the reverse. The UK has a policy rhetoric of developing inclusive and accessible communities, but the legal situation in England does not comply with Art 24. Special Educational Needs and Disability legislation state a ‘presumption for mainstream’, but this principle is significantly undermined by Section 316 of the 1996 Education Act which allows Local Authorities and/or schools to refuse a mainstream placement. This is on the basis that a disabled child being placed in a mainstream setting would be ‘incompatible with the efficient education of other pupils with whom he or she would be educated or if it is an inefficient use of resources’. Despite a legally binding SEN Code of Practice and Inclusive Schooling Guidance, it is still the case that this legal provision is overused by Local Authorities and schools. 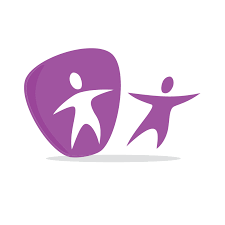 Those disabled and deaf children with what can be considered a high level of ‘special educational needs’ (SEN) can be assessed by their Local Authority for a Statement of SEN at the request of parents or the school. 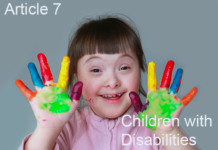 This is a legally binging document setting out the types and levels of support required to ensure the disabled child can access education and support services. The numbers of disabled children in special schools in England since the UNCRPD was ratified have risen significantly from 89,390 in 2006 to 98,595 in 2013. A clear retrogression in terms of ensuring an inclusive education system. Over the same period the number of special schools reduced by 33, but the number of pupils each school took increased. This can only have been achieved through retrogression with respect to article 24 (2) (b) which requires education of disabled children ‘in the communities in which they live’. There continues to be significant unexplained variation in the proportion of disabled children being sent to special schools by each Local Authority in England. This ranges from 0.2% (the equivalent of 2 in 1,000 children) to 1.4% (the equivalent of 14 in 1,000). These differences bear no simple relation to the size of a local authority or its social or geographical characteristics. 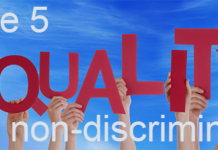 The Equality and Human Rights Commission Trienniel Review How Equal is Britain reports that 66% of all pupils in secondary school reported bullying over a three year period, but 82% of disabled students in age range 13 to 16 reported bullying. A Qualitative sample of 507 students with Learning Difficulties 83% reported bullying and at a higher frequency. As public bodies under the Equalities Act (2010), schools are required to take steps to eliminate bullying and harassment. This is not taken as seriously as it should be and much is tolerated. 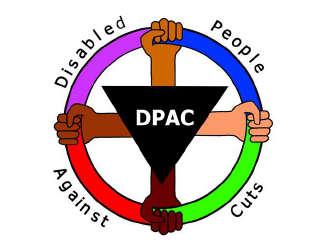 The Disability Amendment Act 2005 had previously introduced the requirement on all publicly funded schools and colleges to have a Disability Equality Scheme (DES) and that this should be developed from a ‘social model’ perspective i.e. identifying the barriers of attitude, organisation, policy and practice to disabled people’s achievement, progress and employment. Very few studies were carried out as to either the proportion of schools carrying this out in a meaningful way or the effectiveness of these measures. Disability Equality in Education carried out an analysis of 50 primary and 25 secondary schemes in 2008. 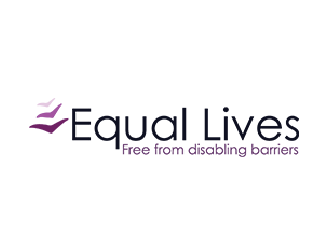 Two-Thirds of the schemes analysed covered the required six areas of work: Promoting Equality; Eliminating Unlawful Discrimination; Eliminating Disability related Harassment; Promoting Positive Attitudes; Encouraging Participation in Public Life; and Treating disabled people more favourably. Only 20% mentioned the social model. 70%+ had engaged with parents, students and staff, but only 6% had talked to ex-pupils. Only 17% of this sample outlined how they would raise disability in the curriculum. Very few schools had gathered any data. Evidence shows that disabled students in further education are four times more likely to be attending segregated independent living and employment courses for learners with learning difficulties and disabilities than a mainstream accredited course. As a result disabled young people are denied opportunities to develop their knowledge and skills in a broad subject based curriculum that enables them to access mainstream courses in post-16 settings. The Children & Families Act 2014 means that disabled students in post 16 settings will now be covered by the ‘presumption for mainstream’ principle, but we have grave concerns that this new requirement in law will be undermined by poor guidance for post 16 education providers and planned changes to post 16 funding arrangements. The UK does not comply with the Article 24, clauses 3b and 3c, which emphasise promoting the linguistic identity of Deaf children in environments that maximise the academic and social development. Deaf schools are increasingly being shut and the education system in the UK is not inclusive for Deaf children. In fact, it has been exclusive, inaccessible, and denied opportunities for peer-peer learning, strong language role models. It has led to a lasting sense of failure and social isolation among Deaf children. Classes in Deaf culture and sign language are not offered to hearing children consequently they cannot communicate with the Deaf children in their classes. Research shows that mainstreaming in its current form has caused lasting psychological damage which endures into adult life. For many Deaf children in the UK, education in a language ‘appropriate to their individual needs’ means BSL, a sign-intensive environment, and the practice of sign bilingualism. However, in the UK, Teachers of the Deaf are only encouraged to commit to achieving a minimum basic Level 1 qualification in BSL. This means they are often unable to sustain even a basic conversation. There is no research on the numbers of Teachers of the Deaf who can use BSL to a more advanced level. In most instances Teachers of the Deaf will rely on Communication Support Workers, for whom the minimum requirement is Level 2 in BSL, far below the standards expected for interpreters (Level 6). Although Welsh and Gaelic medium schools are available in the UK there are as yet no BSL-medium schools available to all. Education Act 1996 subsequently amended by the Special Educational Needs & Disability Act 2001. O’Brien, D. (2013) ‘Visual Research with Young d/Deaf people: An Investigation of the Transitional Experiences of d/Deaf Young People from Mainstream Schools using Auto-driven Photo-elicitation Interviews’. Graduate Journal of Social Sciences 10(2) pp.152-175.